A “Message In Your Wallet” is for the use of anyone away from home. It provides emergency services and hospitals with details of any illness or allergy you may have together with contact names. Message in a Wallet is a handy way to keep all your medical information on your person while out and about. It’s secure. No personal info is revealed, only telephone numbers. It’s free of charge and available to everyone. 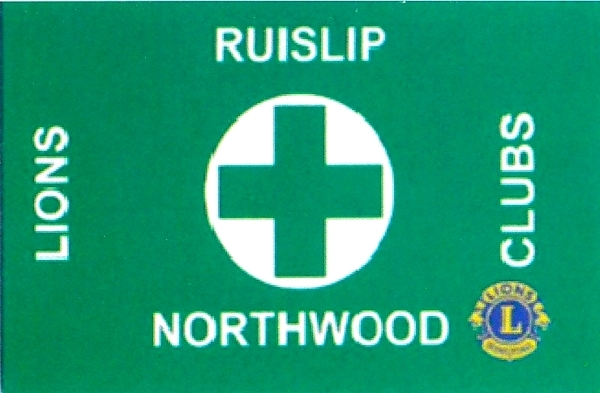 It gives all the information needed if you are taken ill while out and about locally, on a day trip or further afield. It’s easy to replace if your medication or circumstances change. Without it would you remember all that information? It’s handy when attending hospital appointments and it helps medical professionals administer the correct treatment to you. It’s easily carried in a wallet or purse and saves you having to carry a copy of your prescription around. The best thing about Message in a Wallet is – it’s there if you need it, otherwise it’s just a little card in your purse or wallet. Details of any condition, illness or allergies. Details of anyone who may rely on you. Information about a pet that may need to be cared for. A page of other information that may be relevant in an emergency situation. 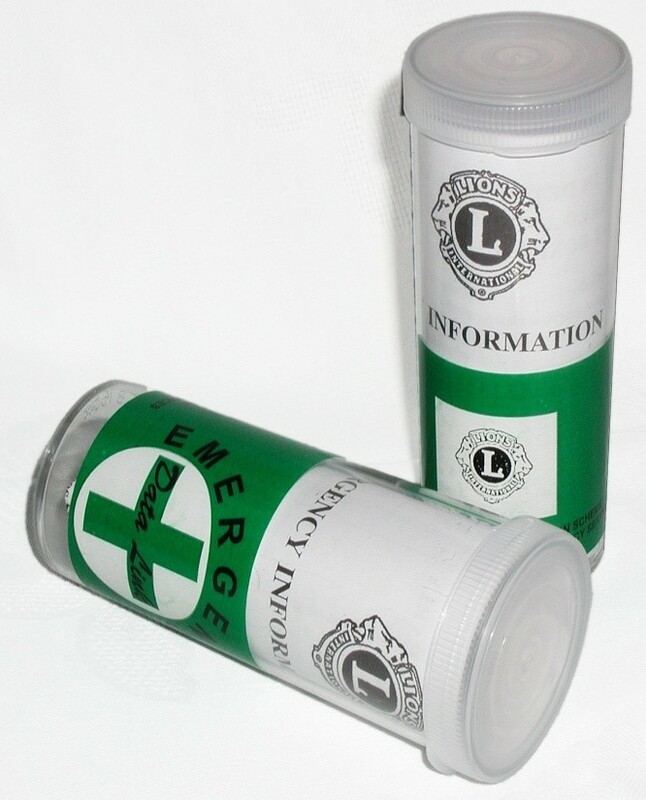 The Lions Message in a Bottle is a simple idea that encourages people to keep their basic personal and medical details in a common place where they can easily be found in an emergency. The information is kept in a bottle. The bottle is kept in the fridge, where the emergency services will expect to find it in the event of being called to your home. They will know you have a bottle by two labels. One is fixed on the inside of the front door or the main entrance to your home and the other to the door of your fridge. It’s FREE. All costs are paid for by local Lions Clubs who have received generous donations from the public and businesses. Where can You get a Bottle? Health Centres, Doctor’s Surgeries and Chemists should have supplies. If you have difficulty, please contact us using the Contact Us page on this site. The information is very basic, but you may like to ask a relative, neighbour or carer to help you. We also advise that you keep your repeat prescription list with your medication, this is of great help to paramedics.